New Legislation has recently been introduced that will significantly change whether an Australian Partner visa application can be lodged whilst the applicant is in Australia, according to a report by Acacia Immigration Australia. The new Migration Amendment Bill(Family Violence and Other Measures) was passed through Parliament on 10th December 2018.It is yet to be confirmed when the new law will take effect, and partner visa applications lodged until then are to be assessed under the current partner visa application requirements. Lodging a valid partner visa whilst in Australia allows the visa applicant to obtain a Bridging Visa A (BVA) which will take effect when their current visa expires. The BVA holder will then be able to remain in Australia until a decision is made on the partner application. During the processing time the BVA holder will be entitled to Medicare and have full work rights. The new Bill requires the partner to first lodge their sponsorship application and have it approved before their partner visa can be lodged. Partner visa applicants with limited time remaining on their current visa will be required to either lodge a valid visa application that will allow them to stay in the country or depart Australia until the partner visa is granted. Until a valid visa application is lodged in Australia, the applicant will not be entitled to a BVA, Medicare or full work rights. Our comprehensive visa and immigration services include immigration advice from registered migration agents, an exceptional success rate, document checking and visa processing. John Mason Visa and Emigration Services is an independent immigration consultancy providing a wide variety of global immigration and visa services. Established in 1884, we have helped tens of thousands of people migrate, travel and work around the world. 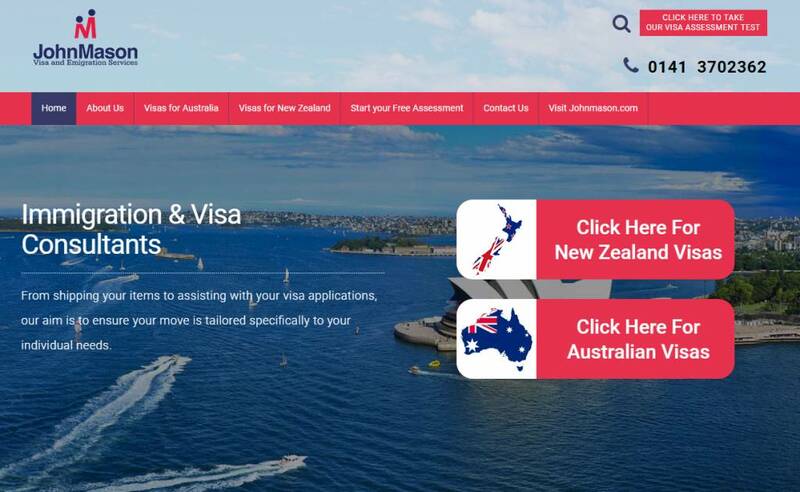 Whether you’re looking for an Australia visa to work Down Under or New Zealand, you can be sure we have the experience and services to make the process as quick and easy as possible.